We are just days removed from the passing of theoretical physicist and cosmologist Stephen Hawking. 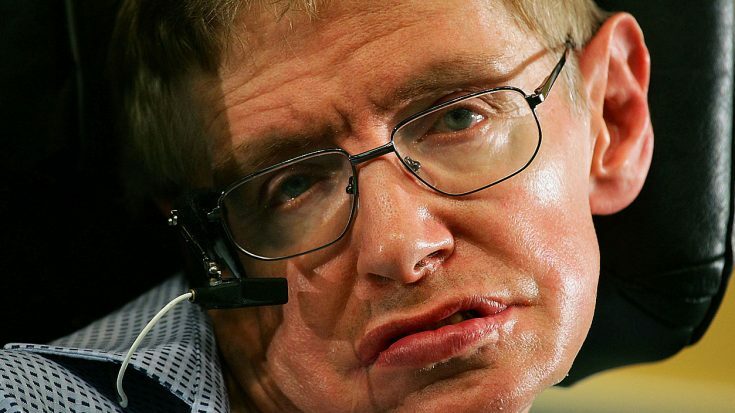 As if it needed to be said, Stephen kicked open an uncountable amount of doors in the world of science. His mind was legendary and led to the discovery of more scientific advancements than we can even count. He was a scientific legend, pure and simple. Not only that, but his work had great influence on the world of classic rock, so much so that Pink Floyd decided to take advantage of it and use it for two of their songs! Back in 2014, Pink Floyd actually used a voice-sample from a Stephen Hawking speech for the song “Talkin’ Halkin'” on their album ‘Endless River’. What makes this even more fascinating is the fact that apparently, this wasn’t even the first time that Stephen Hawking’s voice sample was used for Pink Floyd’s music. Back in 1994, that same voice sample was used for their song “Keep Talkin'”. Pink Floyd have stated that “Talkin’ Hawkin'” is not a sequel to “Keep Talkin'”. It’s truly amazing that Stephen Hawking’s legacy and work were able to garner the attention of the classic rock community. Not only is it fascinating, it’s incredibly inspiring and it’s something that we as classic rock fans should all embrace. RIP Stephen Hawking, you will be missed!